Quintius Hortensius Hortalus was the son of the famous orator and lawyer who had become one of the richest men in Rome. His father Quintius Hortensius was born in 114BC eight years before Cicero. As early as nineteen, Hortensius appeared in the Roman forum where he delivered a speech that impressed the consuls at that time, L. Crassus and Q. Scaevola. Crassus was the famous orator of the time and Scaevola was the first among jurists at that time. One of Hortensius first clients was Nicomedes, whoi was the expelled king of Bithynia by his brother, which resulted in his restoration resulting in him becoming a very famous advocate of lawyer. He became the son-in-law of Quintus Lutatius Catulus after marrying his daughter Lutatia firmly establishing himself within the aristocratic party of the optimates, which would eventually be the opponent of Julius Caesar. Hortensius’ reputation grew as a lawyer as his clients hired him paying vast amounts of money since they were often governors of provinces who had been accused of having plundered their provinces. Cicero wrote that Hortensius took advantage of representing such people. He came into conflict with collision with Cicero who acted as the prosecutor in the case of Gaius Verres, who was a notorious corrupt magistrate in Sicily. Cicero had begun and used a change in the rules to bring evidence and witnesses up much sooner delivering a blistering opening speech which was so damning, he overwhelmed Hortensius who was so disarmed he refused to reply, and instead recommended that his client leave the country in exile. That was the turning point when his supremacy as a lawyer was lost. Yet Cicero became an optimate and he then found himself on the same side of Hortensius. After Pompey’s return from the East in 61BC, Hortensius withdrew from public life and devoted himself to his profession. Then in 56BC, Hortensius admired Cato the Younger and proposed to marry Cato’s 20 year-old daughter, Porcia Catonis. Hortensius’s wife Lutatia had died. Cato refused to dissolve her marriage and instead offered his own wife, Marcia. Consent was obtained and Cato divorced Marcia, and she was immediately married to Hortensius, who then bore him an heir. Hortensius disavowed his son who seems to have lived a life of debauchery. After Hortensius’ death in 50 BC, his wife inherited all or most of his wealth and then immediately remarried Cato, making both of them very rich. 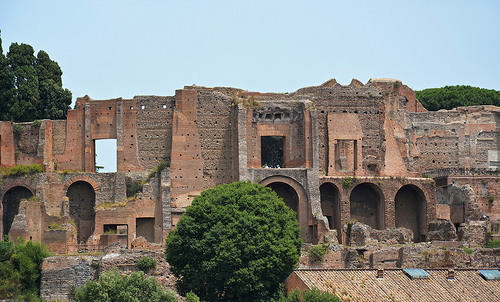 Hortensius’ house was on the Palatine and became the home of Augustus. He was regarded as extremely wealthy and had made a fortune defending aristocrats. In 50BC, Cicero did try to help the son Hortensius Hortalus and he attributed his debauchery to the people he hanged around with who were gladiators and prostitutes. We do find he must have had something for Cicero was inquiring what he could liquidate to pay his creditors. When the civil war broke out in 49BC, Hortensius Hortalus seized the moment to repair he fortunes. He joined Caesar in Cisalpine Gaul and was sent to occupy Ariminum. Hortensius Hortalus was actually the first man to cross the Rubicon. He received a letter asking for assistance by Cicero. He visited Cicero’s wife, Terentia, at their Cuman villa. 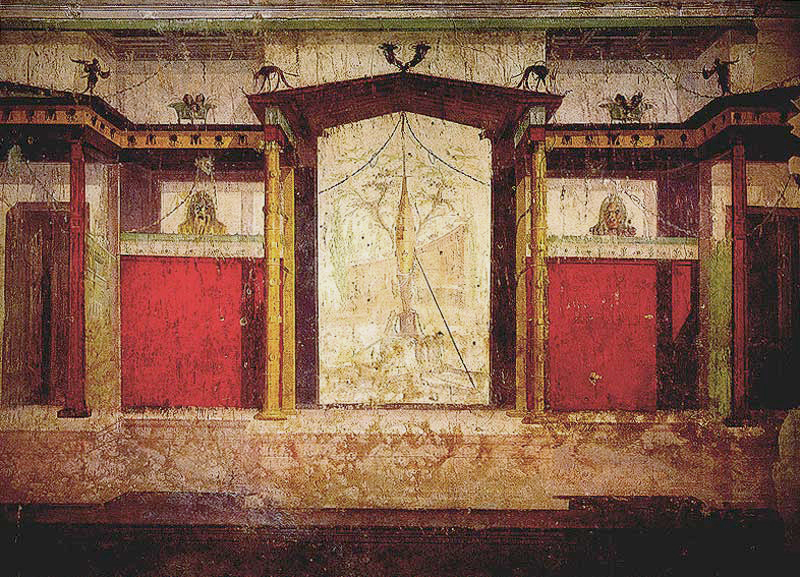 Cicero was a Pompeian, but he feared for his life and wanted to assure Caesar of his good intensions. Perhaps Hortensius Hortalus lacked the status to ensure Cicero’s safety. Hortensius Hortalus’s squadron then joined the fleet of Dlabella before the battle of Pharsalia. Then in 44BC, he held the province of Macedonia. Following Caesar’s assassination, Marc Antony gave Macedonia to his brother Caius Antonius. 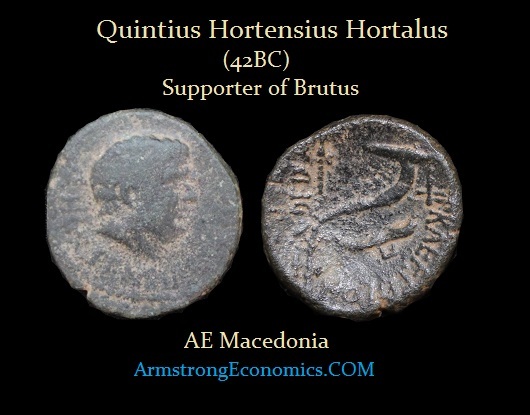 Brutus had taken possession of Macedonia from Hortensius Hortalus with his assistance, switching sides which resulted in his name being added to the list of enemies by Octavian and Antony. In an act of revenge, Hortensius Hortalus order Caius Antonius to be put to death. Following the battle of Philippi, he was executed on the grave of Caius Antonius.